Acupuncture is a highly effective therapeutic technique that has been developed and refined over thousands of years. This was done by the brightest and best scholars of China, during each era, as well as in other countries around the world, and continues even to this day. 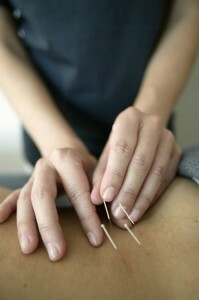 Acupuncture therapy works by tapping directly into the body’s natural innate healing ability. It does this through the comfortable insertion of hair thin needles at certain points. As the needle is gently and safely inserted into your body, healthy signals are conducted which essentially redirect your body’s energy. This initiates a process by which therapeutic benefits, enhanced higher level functioning of the body and mind, and resolution of health issues can be achieved. A concrete example will help you to get an even crisper clearer understanding. To grasp the intriguing concepts behind the acupuncture technique, you can take a look in our case study section. There you will find real life examples of how patients here at New England Acupuncture & Herb Clinic have gained success through acupuncture.